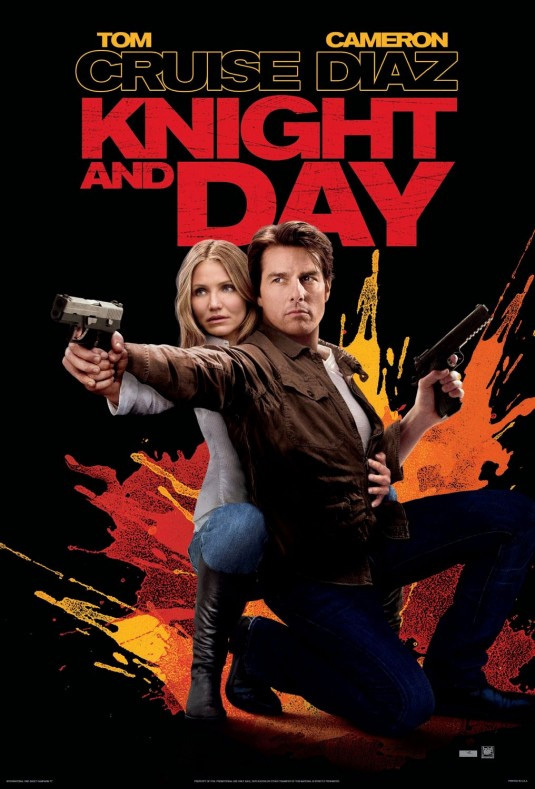 When Knight and Day was shown in the cinemas, I was not that excited or looking forward to watching it. I guess Tom Cruise is somewhat highly overrated. Though I am a fan of Cameron Diaz but then again she’s only half the movie. When I watched it on DVD it’s a better option because if I didn’t like it, I could always turn it off. But it started very interesting, wondering, “What is he looking for?” then slowly the story unfolded by itself. I started liking the movie. The mystery of Roy Miller’s (Cruise) character is somewhat worth waiting for the next scene or something. A very good balance of action and comedy. June Havens (Diaz) never falls short of delivering a comedic punchline. Her clueless and naive character seems to add to the effective portraying of her role. When Peter Sarsgaard (playing the role of Fitzgerald) appeared, you kinda knew what role he was portraying so it was a no-brainer to figure him out. How I wish they used someone more unpredictable. But don’t get me wrong, Peter is a good actor but he’s too typecast more of villain roles. I think he could be a good lead with the right role and material. One of the endearing moments, which I didn’t understand at first, was when Roy was monitoring someone through his iPhone. I thought it was one of those missions but later it unveils itself which was someone who he is trying to protect and knowing who they are was just perfect. That made him more human despite his action skills. One of the scenes I also liked is when June would wake up in different places because she was drugged by Roy and it’s hilarious who she reacts to each new environment. And when it was done the other way around, priceless, I tell you. The effects and action scenes were ok, probably due to the light inject of comedy from June. When it’s a Tom Cruise movie, it’s expected that action scenes are done well and it’s very evident in this one. So basically you will get your money’s worth.